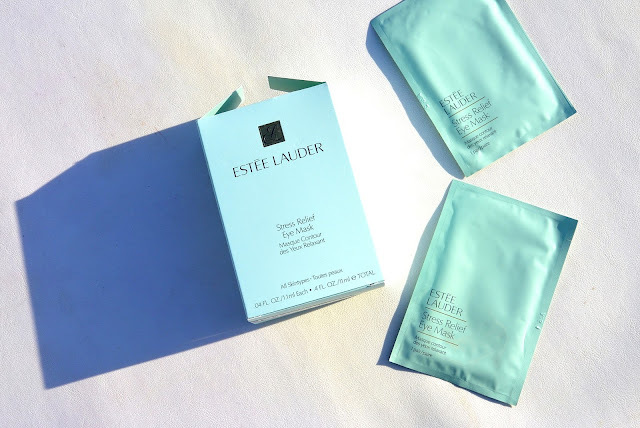 Today I am reviewing Estee Lauder Stress Relief Eye mask. The perfect treat after long days, long nights, in-flight or whenever you need to "de-stress." 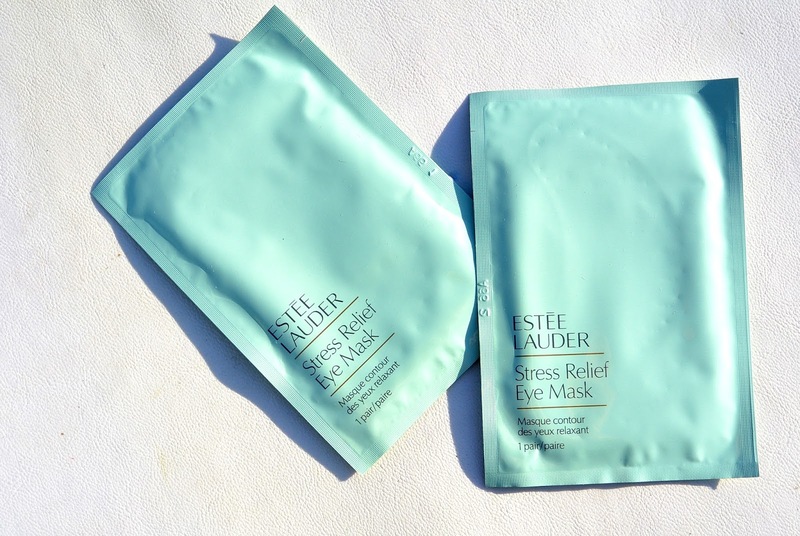 Estee Lauder Stress Relief Eye mask is a refreshing 10-minute eye mask for the delicate skin around your eyes. You just need to apply the pre-moistured pads on the contour of your eyes and let the pads work their magic. Pre-moistened pads hydrate and soothe skin with targeted anti-stress and anti-fatigue ingredients, including Aloe Vera and Cucumber. The pads also prevents the skin from losing its moist and adds extra moisture to a dehydrated skin. There are two pads in each package (for every eye one) and are applied as I said before under your eyes onto the contour of your eye. Whenever your eye area needs a boost, remove the pre-soaked pads from their packette. Gently separate the two pads and apply lightly under eyes using fingertips. Try playing soft music or reading a magazine. Then lift off pads and gently pat remaining serum into skin. 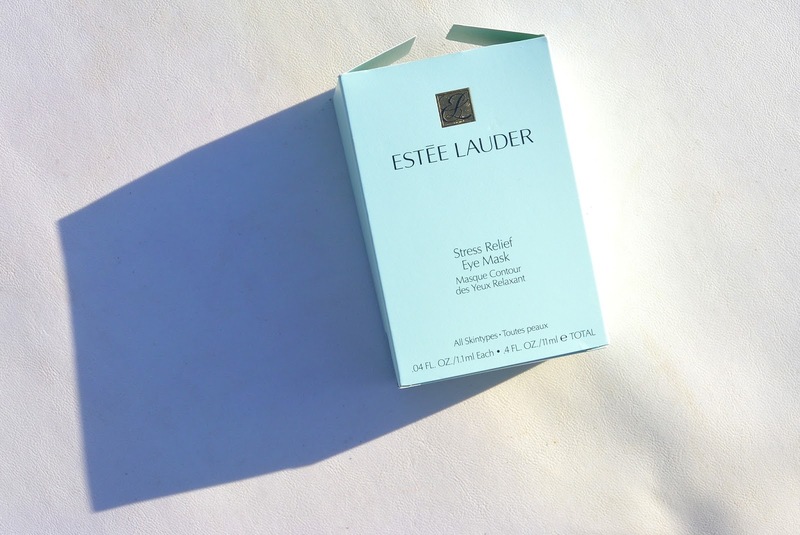 On the picture above you can see how I applied my Estee Lauder Eye Mask underneath my eye. After removing it, the result was nog overwhelming. My skin felt hydrated but I didn't had that 'boosted' feeling. I would re-use this mask because it feels fresh and I like using masks. But if you really want to boost your under-eye area, I would not recommend this mask to be honest. You should try the Klorane eye masks, they feel really cooling, relaxing and hydrate as well!